French cooking often gets a bad rap for being heavy and loaded with butter and cream. This stew, though, is a perfect example of just how wholesome French cooking—especially rustic French cooking—can be. 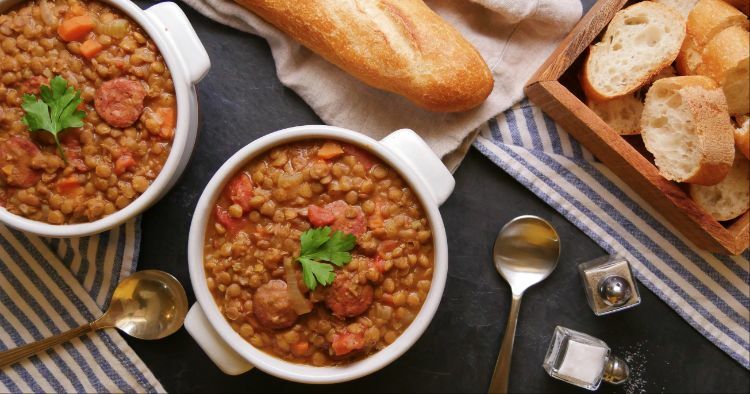 Healthy lentils are stewed along with flavorful smoked sausage and vegetables. The result is a delicious, filling and yet still healthy dish. A side of crusty bread and a crisp green salad round out the meal perfectly. You can use any type of smoked sausage in this dish that you like. Something like andouille adds a nice spicy kick. Or try Spanish-style chorizo or Portuguese linguica. The key is to use a sausage that is very flavorful. 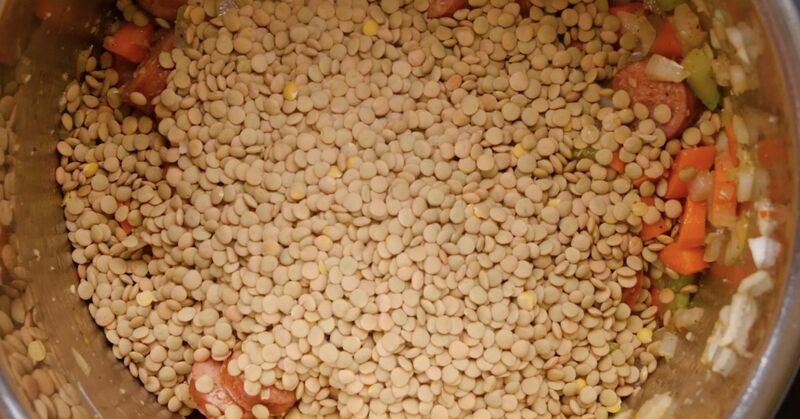 That way, you don’t need a lot to make your healthy lentils delectable. Heat the oil in the Instant Pot using the sauté function. Add the sausages and cook, turning occasionally, until they are browned on the outside, about 5 minutes. Remove the sausages from the pot and set aside to cool. When cool enough to handle, slice the sausages into ½-inch-thick rounds. With the pot still on the sauté function, add the onion, carrot, celery, and garlic and cook, stirring occasionally, until the onion is softened, about 5 minutes. Stir in the salt, pepper and oregano. Add the lentils to the pot, along with the sliced sausage, tomatoes and their juice, and the broth. Turn the sauté function off by pressing the keep warm/cancel button. Close the pot and turn the valve to the sealing position. Choose high pressure and set the timer for 10 minutes. When the cooking time is up, let the pressure release naturally for about 10 minutes. Quick release any remaining pressure.